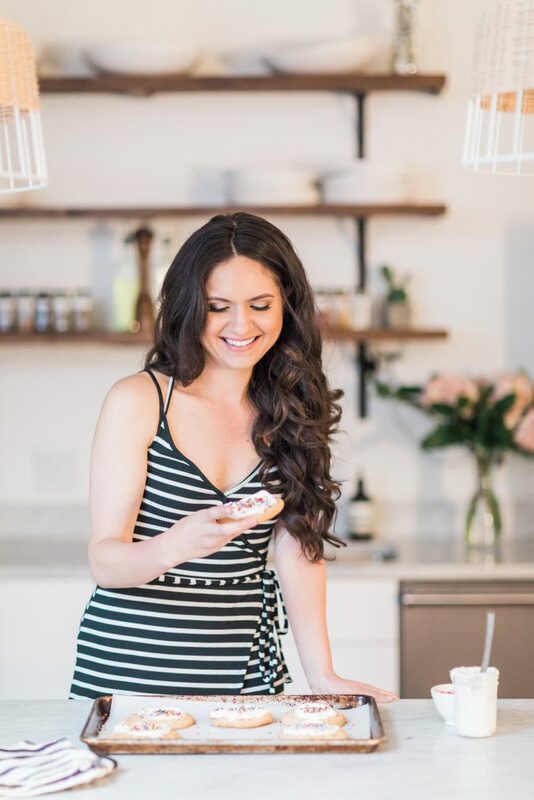 I don’t know about you, but sometimes not even my beloved cup of morning coffee is enough to lure me from the comfort of my bed – especially at the beginning of the week! Knowing this, I thought a solution needed to be made, and you guys, I think I found it! Say hello to COFFEE DONUTS! 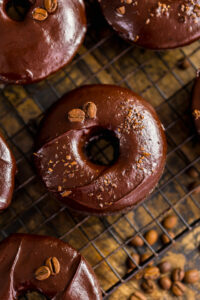 Coffee lovers chocolate cake donuts, to be exact. 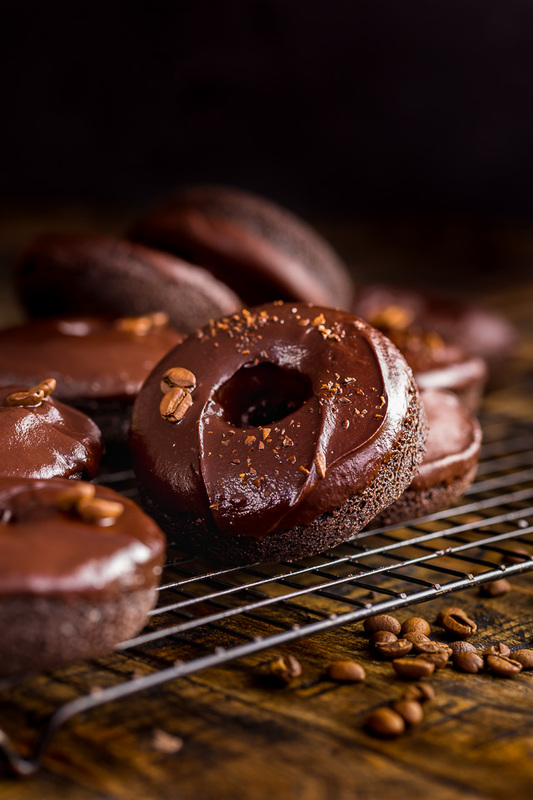 The donut base is moist, dense, and full of rich, chocolatey flavor with subtle coffee undertones, while the glaze is a powerhouse kick of COFFEE flavor sure to wake up even the sleepiest of heads. It’s the perfect balance of flavors, and neither over or underwhelm the senses. They just work perfectly! Be sure to generously grease your donut pan with butter and flour or a non-stick spray. 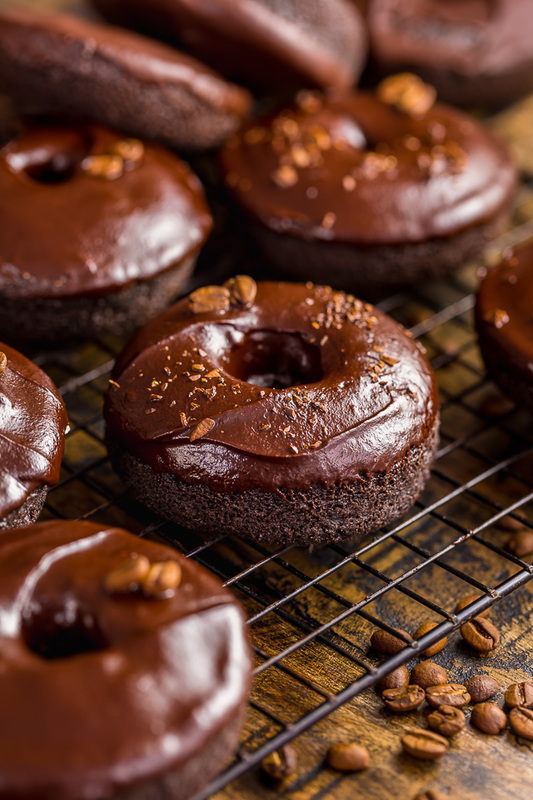 If you’re using spray, I suggest using one that is made specifically for baking, since they typically have flour in them, which helps the donuts come out of the mold easily. Trust me when I say you want to grease every little nook and cranny of the pan. The donut batter will be very thick. You can spoon it into the donut pan, but the easiest way is to scrape the batter into a ziplock baggie, snip off one end, and pipe it into the molds. The donuts will be very delicate when you first pull them out of the oven. So let them cool in the pan for a few minutes before gently lifting them out of the molds and transferring them onto a cooling rack. Baked donuts are truly best served the day they are made, but will technically keep, stored loosely covered in the fridge, for up to 2 days. Coffee lovers, bust out your donut pan and bake these beauties up today! 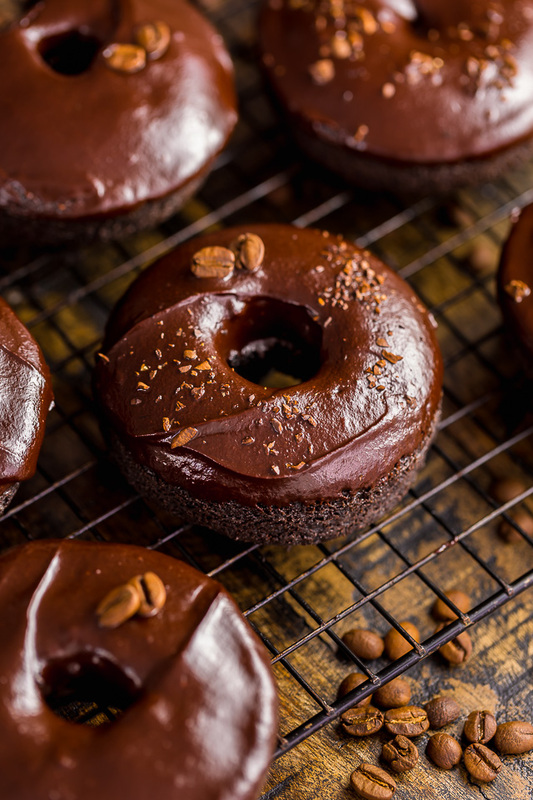 These Coffee Lovers Chocolate Cake Donuts are moist, fudgy, and caffeinated!!! And they're easy enough to whip up on a weekday. Preheat oven to 350°F. Generously grease the wells of two standard doughnut pans. If you don't have two pans, you can bake the batter in two batches. Set pans aside. In a large mixing bowl, whisk together the cocoa, flour, both sugars, baking powder, espresso powder, and salt. Set aside. In a medium-sized mixing bowl, whisk together the eggs, sour cream, vanilla, and oil. Add the wet ingredient mixture to the dry ingredients, stirring lightly until just combined. Carefully pour in the hot coffee and stir until just combined. Spoon or pipe (see the post for more info on this) the batter into the prepared pans, filling each well between 3/4 and full. 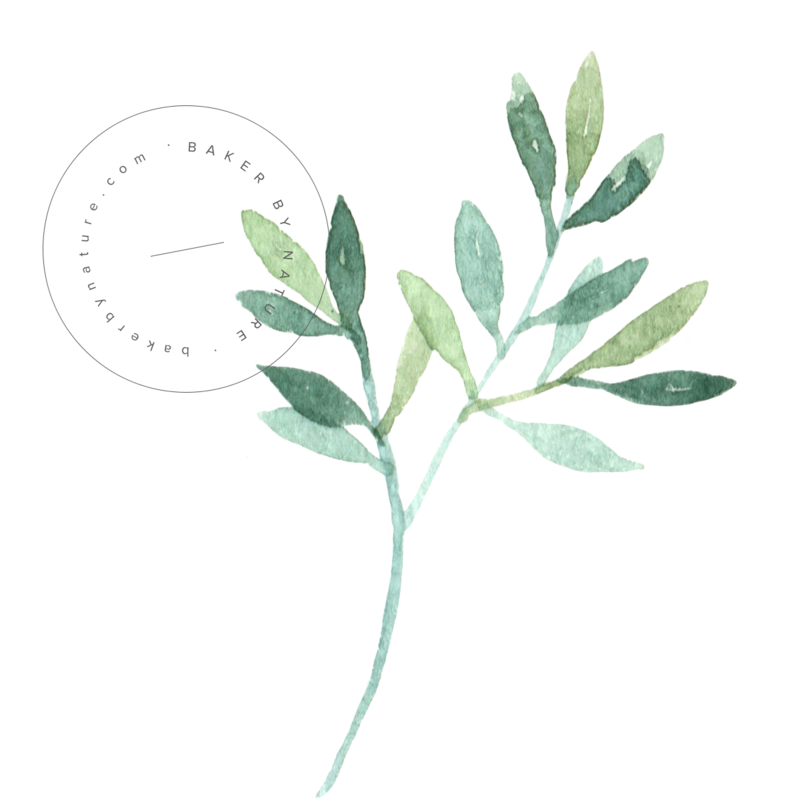 Bake for 10 to 12 minutes, or they've risen and spring back when lightly touched. Remove the pan from the oven and place it on a cooling rack. After a few minutes, loosen their edges and carefully remove them from the molds. Place donuts on the cooling rack while you make the frosting. In a microwave-safe bowl, combine the chopped chocolate and heavy cream. Heat until the cream begins to bubble up, about 1 minute. Remove from the microwave and stir in the espresso powder. Whisk until the chocolate has completely melted and the icing is smooth. Dip the top of each donut in the icing; or spread icing on the donuts. These sound amazing and perfect for breakfast! That coffee glaze!! Loooooove! And pretty much everything else about these donuts too. Yes!! Love the this combo! Whilst I don’t really like drinking coffee, I’m pretty partial to baking with it and these look totally up my street. Oh how good do those look! Some coffee (doughnuts) with my coffee sounds like the perfect start to the morning. Step 2 says to whisk in buttermilk but that isn’t listed in the ingredients. Is it supposed to be? Or is it the whole milk that gets whisked in? Thanks! Whoops! Recipe has been fixed! Thanks, Barbara. Do you use coffee grounds or liquid coffee for this recipe? I could really do with one of these to start my day! If I don’t have a donut pan (and want to make these ASAP! ), do you think these would work in a muffin tin? How did it work in the muffin pan? I do not own a doughnut pan, but I do have a bundt pan. Do you suppose I could pour the batter into the bundt pan and just bake a huge bundt-doughnut? Hi Arturo. I have never tried this method of baking this recipe, so I honestly cannot say. Please let us know if you try! I wonder if this would work in my mini donut maker!? Hi Ashlee. I’ve never used a mini donut maker, so I’m not sure. Is it a fryer? Or a pan? Is the espresso instant powder or actually liquid made espresso?